Save time by moderating several comments at once with the new “bulk edit” feature. Simply click the checkbox next to the comments you want to moderate followed by the status button that you want to apply. 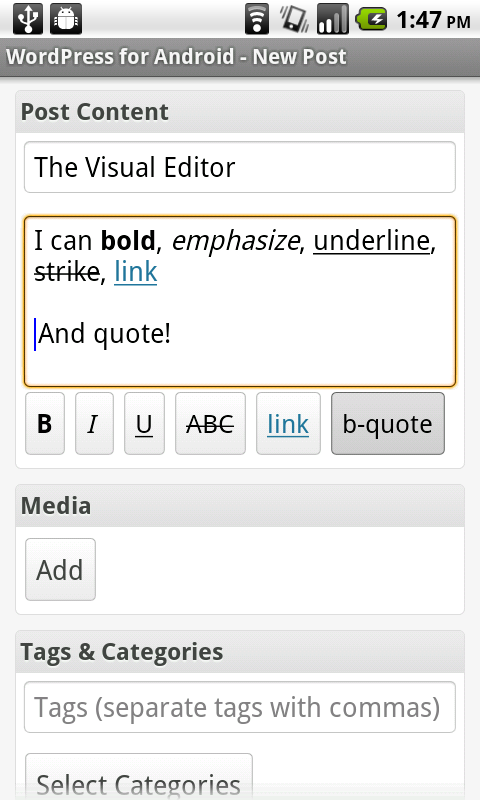 You can now create your posts with stylized text using the new visual editor! We’ve added new formatting buttons, including strikethrough and underline. The 1.3 release also includes many small enhancements and bug fixes, including better video embedding and resizing, new tab icons, and a redesigned post writing screen. WordPress for Android 1.3 is available now in Android Market! Download it now! 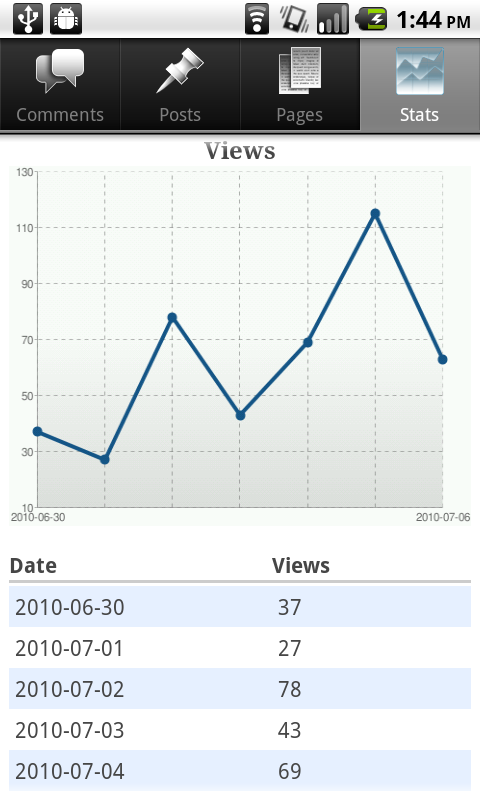 Did you know that WordPress for Android is an open source project, and anyone can contribute? We’re still recruiting devs to make this app the best it can be! If you’re interested, you can find us over at the developer blog.